BSI has developed a shoe that not only can be worn by a left or right-handed bowler, but it has the stylish sport design as well. This shoe also has an extra plush insole and sock lining for maximum comfort. My boy loves them work great. Used them a handful of times. Hi.This shoe is standard youth boys sizing, so a size 1 would typically be for a boy around the ages of 6-7. 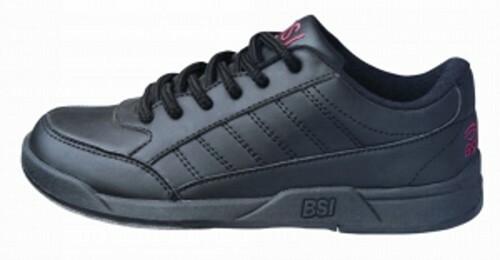 Due to the time it takes to produce the BSI Boys Sport Black ball it will ship in immediately. We cannot ship this ball outside the United States.